Bright, beautiful and full of inspiration! A lovely collection of forever favourites by poets past and present. What’s the time? Time for a rhyme! That’s right: whether it’s mealtime, playtime, bedtime or family time, this book has a poem to cover it. It explores all your favourite moments, objects, people and places in lively verses to delight everyone. 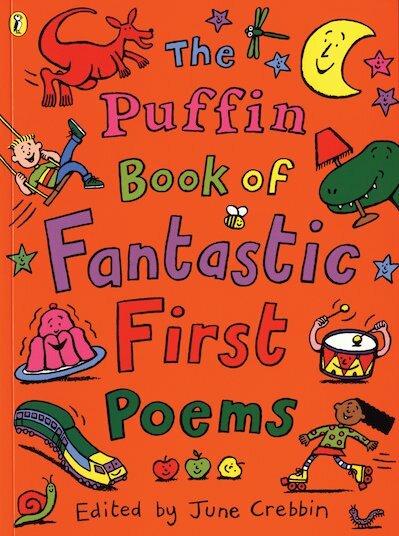 Not only does it have heaps of top writers, from Robert Louis Stevenson to Michael Rosen, Eleanor Farjeon, John Agard, Grace Nichols and oh so many more. It’s also full of fabulous colour pictures by illustrators you’ll love, including Nick Sharratt, Tony Ross and Emma Chichester Clark. How many greats in one book?